The Bosnian international is unhappy that he been waiting for three months to sign on at Ibrox. Rangers signing target Boris Pandza has accused the Ibrox club of lacking professionalism and giving him false hope over a move to Glasgow. 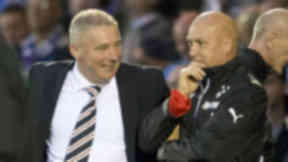 Rangers manager Ally McCoist said at his weekly news conference on Friday that talks were ongoing with Pandza’s agent but the player has told STV that his patience has grown thin after negotiations dragged on for three months. The former Hajduk Split defender said: "For me some professional attitude. Nothing's happened. Everybody says 'wait, wait, wait', all summer we wait. In the end, nothing. "It's a new situation that they want to sell some players but they are limited with the budget. When they've been talking about this for three months and haven't done anything then that's not professional." While negotiations with the Bosnian have dragged on, Rangers have confirmed that they've offered a contract to the former Hearts captain Marius Zaliukas, but Pandza claims that he was promised a fresh deal by the club earlier this week. The 26-year-old continued: "They told me that they will send me an offer on Monday evening or Tuesday morning, but they didn't do it. I expected something on these days but nothing's happened, so I'm a little bit disappointed. "To be honest I don't believe something is going to happen. If they don't want me then don't say anything about me." 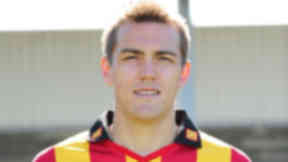 Boris Pandza has 21 caps for the Bosnian national side, and left Belgian side KV Mechelen in the summer.